Improving Facebook engagement is a holy grail for businesses. They want to be able to get people excited about their products without having to spend a fortune on Facebook advertising – something that doesn’t come cheap. But achieving higher levels of engagement is a challenge. You have to somehow come up with a way of enticing customers to engage with your business, even if it isn’t immediately apparent that you can offer them any value. The good news is that many companies have managed it. There are businesses out there currently reaping the benefits of free engagement on the world’s largest social network, (local NI businesses engaging big time on social globally are sisters Kerry Nevins of Babocush and Kim Constable of The Scuplted Vegan – go girls!) and you can be among them. Remember, the greater your organic reach, the less you have to spend on paid promotions. In this article, we’re going to take a look at some of the basics for achieving better Facebook engagement. We’ll take a look at WHEN you should post to get the most participation, as well as the type of content that has been proven to drum up the most interest on the platform. So without further ado, let’s begin. What Is The Best Facebook Format For Engagement? Like many platforms on the internet, Facebook gives you a choice on how you want to present your content. You can choose to offer voucher codes, start a giveaway, ask questions or create a video. But what is the most effective channel? The most engaging type of content is currently (and has been for some time) video. Data from the Zuckerberg-run social media giant shows that video produces more “meaningful interactions” than anything else and so, therefore, should be the first port of call for firms wanting to boost engagement. Data suggest that video generates around 59 per cent more engagement than the next best type of post. That’s not to say that other types of post are ineffective – they’re not – just that video is very much in a league of its own. Creating videos might seem like a colossal challenge. But it’s worth pointing out that you don’t have to churn them out like, say, blog posts. When it comes to video, quality rather than quantity is the most important thing. In general, gurus recommend that firms dedicate around 70 per cent of their posts to video, 20 per cent to images (which are a lot easier) and then 10 per cent to link posts. All posts should have some kind of call to action included. Today, you just need your smartphone camera, a few apps and some creative ideas. In this link, Facebook give you tools and tips to help you easily create videos and grab your customer’s attention. 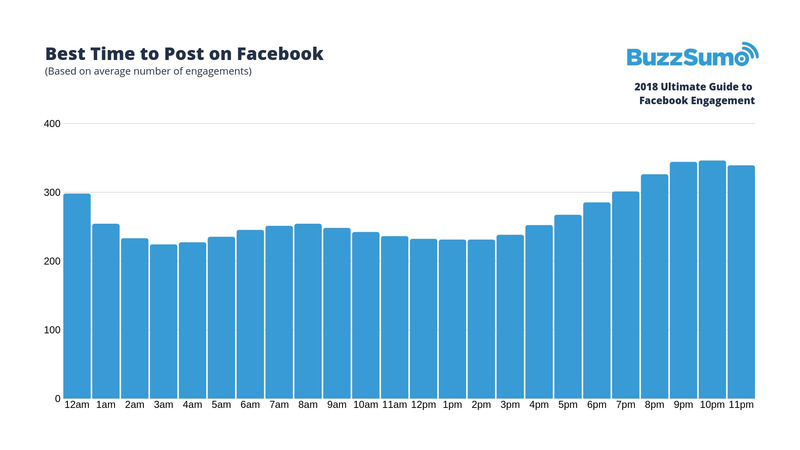 When Should You Post For Optimal Facebook Engagement? Believe it or not, savvy marketing gurus have spent a lot of time investigating the answer to this question. That’s because just altering the time of day that you post content is one of the easiest things to do: certainly a lot easier than coming up with new video content. 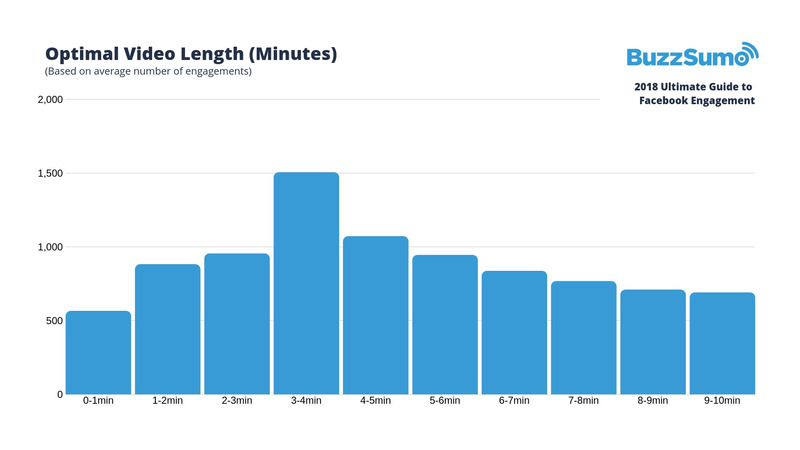 When is engagement on Facebook highest? Data suggests that firms that post material between 9 pm and 11 pm experience the highest levels of engagement, as measured by shares and likes. Businesses that publish in the middle of the night or the early afternoon don’t do as well. Sundays appear to be the best day of the week for posts, followed by Saturdays, presumably because people have the most time on their hands at the weekend. Weekdays offer 20 per cent lower engagement. How Long Should Your Text Posts Be? Text posts are still an essential part of many firms’ strategies to win customers over social media. But if you are one of these companies, how long should your text post be? Incredibly short if the data are to be believed. Data suggest that engagement is highest for text posts with fewer than 50 characters, with participation falling off a cliff in the 50 to 100-characters range. The advice? Keep your text posts short and sweet. We know that video is the most engaging of all post formats on Facebook. But can you optimise the potency of your video content by changing the length? It turns out that you can. Given what we just discussed about text posts, you might think that the shorter, the better, but people are a lot more willing to consume video than they are written content. Data suggest that the optimal video length, based on the number of engagements, is somewhere between three and four minutes, possibly five. The data are quite striking in this regard. Make a video in the two-to-three-minute range, and you’re likely to see a 50 per cent drop off in engagement: a considerable amount given the small difference in time duration. Sometimes you can’t cram all of your content into a three-minute slot, so gurus recommend that you include a CTA before the 3 minutes, 20 seconds mark to make sure that you’re capturing customers before they click back to their feed. Why Do People Engage With Facebook Posts? A lot of the material that we’ve covered so far is pretty academic, especially if people don’t have a compelling reason to consume your content in the first place. The trick to real engagement on Facebook isn’t optimising video length, but thinking carefully about why people might want to consume your content. It turns out that many brands have already asked probing questions for why users engage with content online. The New York Times, for instance, found that the main reason for consuming content was so that people could share what they see with others. Almost all of what people consume and share on the internet links back to them in some way. It’s the user’s way of telling other people about what’s important to them, or the image that they would like to project. Companies, therefore, that can tap into this put themselves at an advantage because they can use people’s motivations to spread the word about their brand. Be helpful and create exciting posts and your brand engagement will improve. There’s been a lot of buzz in Facebook HQ about digital transformation. We suspect that changes are coming soon but one thing that is sure to remain is the heavy trend toward video content. Over the past 2 years Facebook has made it very clear that the future is video and thus they will be putting time and resource into developing their video platform.